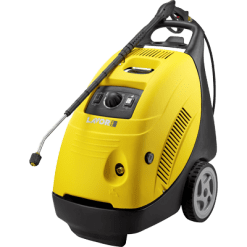 Lavorwash have a small but heavy hitting range of hot water pressure washer units. 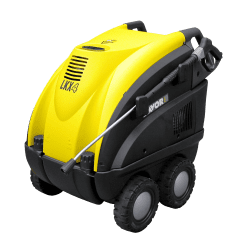 We have two industrial hot water pressure cleaners and three in the larger, professional range. PSI for these units range from 1900 – 3000, with a flow rate between 10 LPM (Litres Per Minute) and 21 LPM. Output temperature of the water varies from 100C – 150C on the largest HyperT machine. 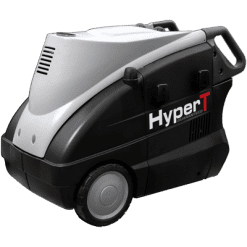 All professional Hyper hot water pressure cleaner units have an unsurpassed 5 year warranty on the stainless steel heating coils. 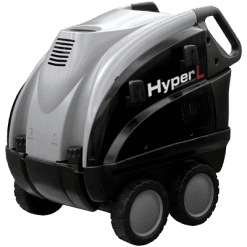 These Lavor pressure cleaner units come with at least ceramic coated stainless steel pistons, because of this, corrosion is almost non-existent. All but the Mississippi model comes with steel braided high pressure hoses as standard. These hot water pressure washer machines are not for the faint of heart. They are built tough for the tough Australian environment! Feel free to call us for a quote or to book your demonstration today.